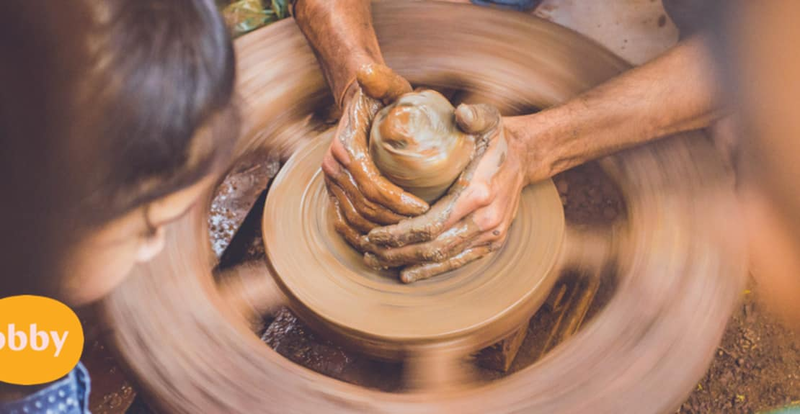 Pottery is something your kids will undoubtedly love. It's messy, it's rewarding and it's fascinating, building something from nothing. Pottery has a rich history, can be really therapeutic and also can create some wonderfully useful trinkets. For children, it's more about the fun side of things, creating something lovely for their mum or grandad and getting stuck into something they've never tried before. These children's pottery classes are tailored for kids, working with approved teachers in child-safe and inspiring environments that you'll also enjoy spending your time in. In this class, your child and the teacher will focus on different hand building clay techniques. They'll be guided through various elements of wheel spinning with help all the way through the class. Each class is carefully designed to allow for children to engage and develop skills whatever their ability. It is a great opportunity to develop creativity and build friendships in a supportive environment. Whether its krakens or gruffalos, unicorns or dragons; this mythical creatures clay workshop is a fun packed weekend or half-term activity. Kids are taught how to sculpt with clay making their very own mythical creature creation to take pride of place on the mantlepiece. Kids are encouraged to think up their very own mythical creature and incorporate it into a story from their imagination. This type of crafting is also great for building social confidence, working with others and learning through play. We will also teach sculpting techniques that children can take with them into their art classes at school. There is a range of workshops available to fit around you, and the mythical creatures clay workshop is also great for birthday parties! These 1 hour evening workshops are perfect for kids after school. Lucky studios is a complete art studio, filled with everything from pottery to painting. Any age can turn up, although it's recommended about the age of 5 for a go on the wheel. This class can also be great for young adults or teenagers who are looking to build their art GSCE or A level portfolio by working with different mediums - the secret to A*'s. Kite Studios will tailor the occasion according to your child's interests. Examples of themes we've done in the past are 'Treasure Islands', 'Wonderful Winged Creatures' and 'Pop Art Profiles ' (a hit with teenagers). Tote-bag designing in paint or print is also very popular, they also offer pottery themed parties, where the children can have a go on the pottery wheel. They accommodate all age groups and provide a fully equipped studio for the art session. Most families bring their own drinks and cake, which they can serve in a separate reception room. Catering can also be arranged if you'd rather just turn up. Kite Studios will keep the children engaged from beginning to end, with a 15-minute break.